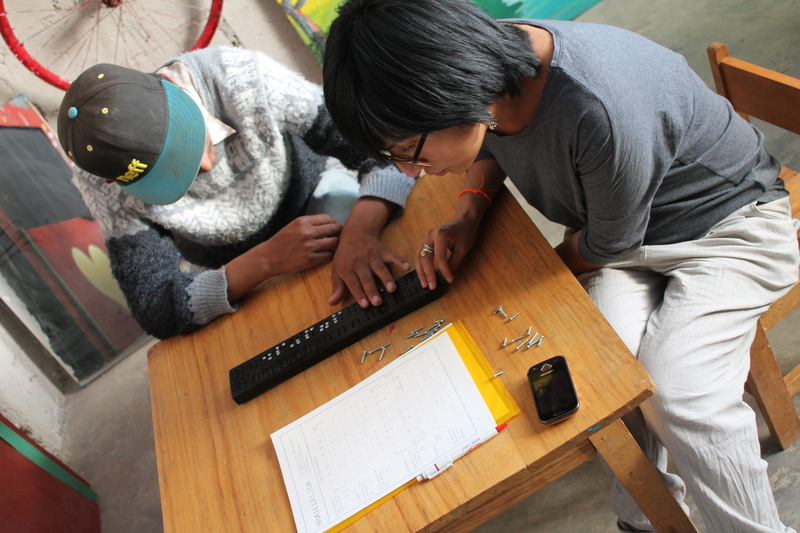 Braille for Lucho and Fernando! Albert Keersmaekers gave Oye Lena a special typing machine to teach Lucho (blind) and Fernando (bad eyesight) the “Braille” language. For both boys it was their first introduction with braille. He also lent us an antique piece existing of holes and nails, with which they used to learn braille. Peter Van Erps, made his own version for the boys. Raquel is introducing this new language to the boys so we’ll keep you informed about their progress!